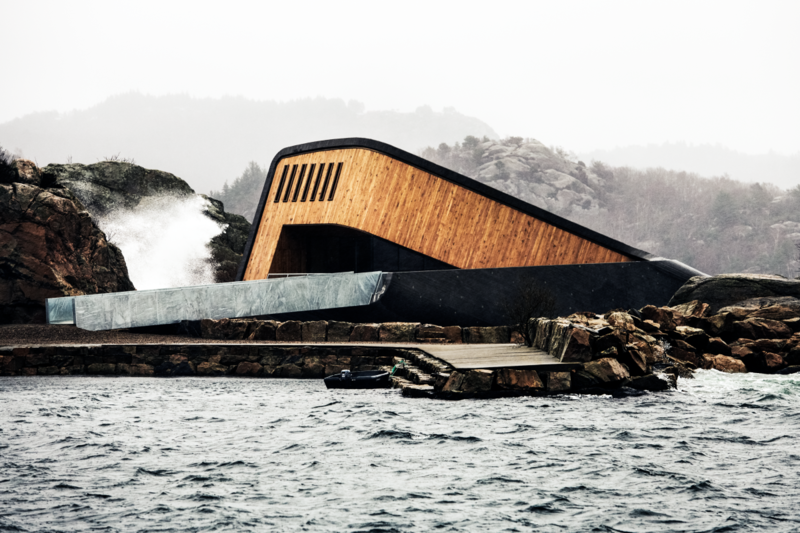 The first underwater restaurant in Europe, appropriately titled Under, rests 15 feet submerged on the southern coast of Norway in the city of Lindesnes. 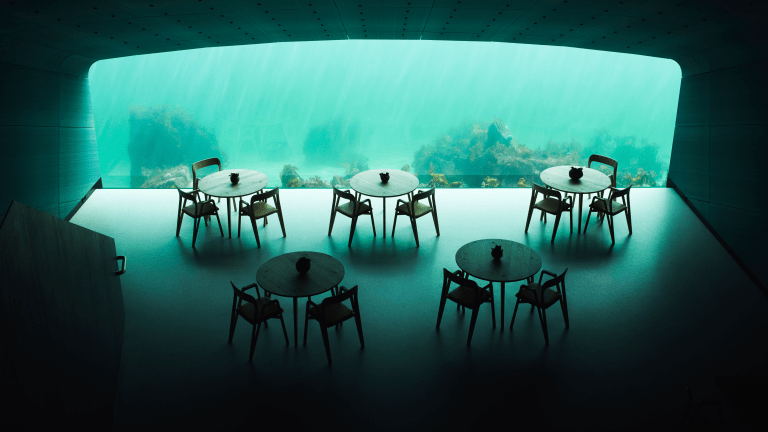 Designed by Snøhetta, the 40-person dining room is held intact by 18-inch thick concrete walls and features floor-to-ceiling windows throughout for spectacular views from every seat. 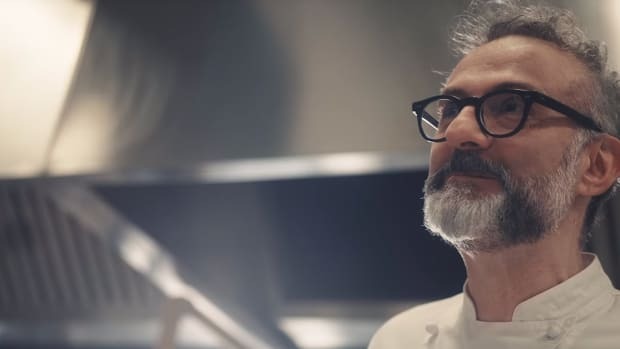 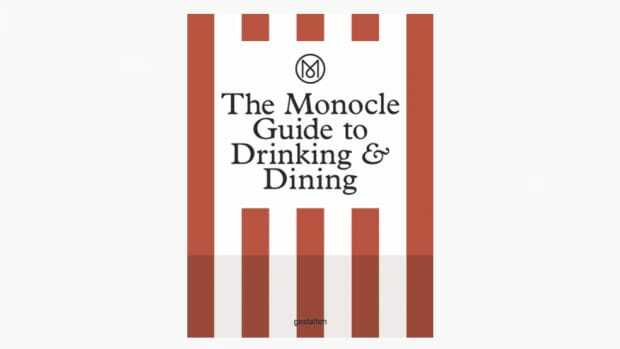 Each patron is treated to an 18-course 'immersion menu' curated by Danish chef Nicolai Ellitsgaard, which will set you back ~$250, and just like the design experience, is crafted to usher guests beyond their comfort zone. 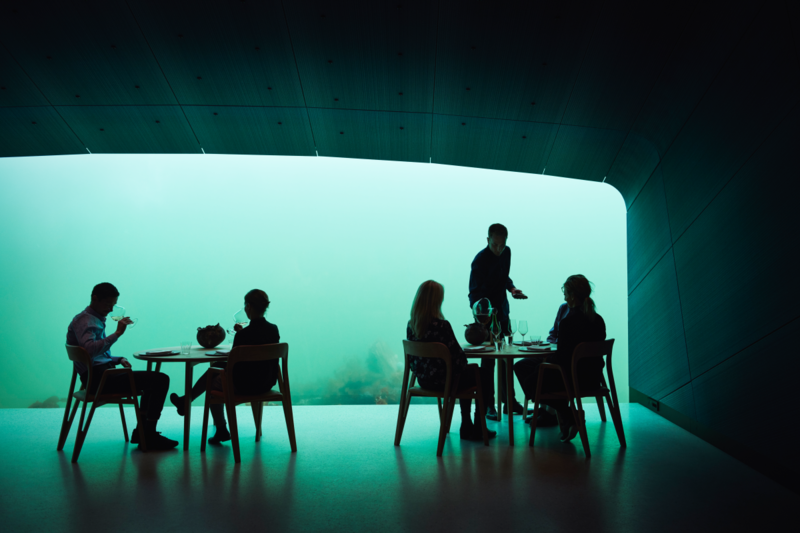 On top of its dining, the building includes a marine research facility helping fuse the architectural art with its surrounding environment. 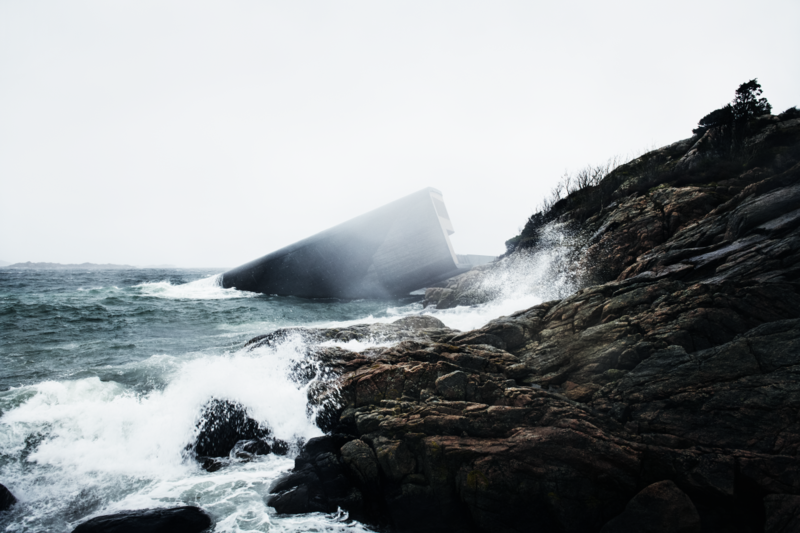 The concrete shell of the building, which somewhat reflects a sinking ship, will function as an artificial reef, welcoming limpets and kelp to inhabit it. 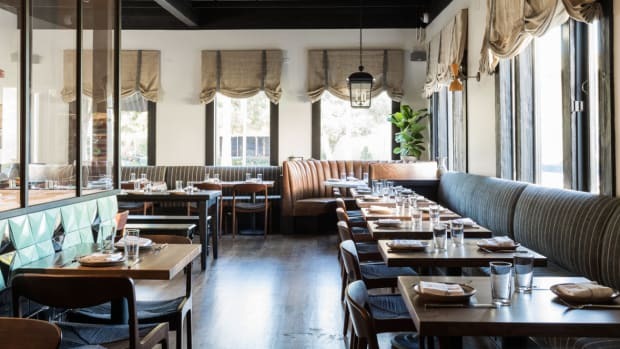 Reservations are booked through September of this year but October reservations will open on April 1, so look lively if you want one of the most exclusive and hard to get tables in the world right now.